Sign up for a free trial to FleetMentor today. Register Now! Online fleet management service relied on by thousands of transportation professionals to help effectively manage operations, personnel, and safety programs. Read more. Try FleetMentor® FREE for a limited time! Click the button below or call 877-595-1157 to get started. 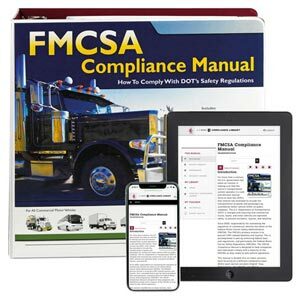 From tracking roadside inspection data to preparing for an audit to training your employees and more, FleetMentor® provides you with the fleet management solutions and tools you need to cover all areas of the CSA Behavioral Analysis and Safety Improvement Categories (BASICs). 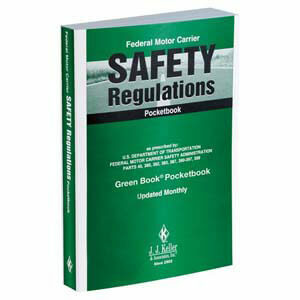 Based on the most recent version of FMCSA's Safety Measurement System (SMS) Methodology. 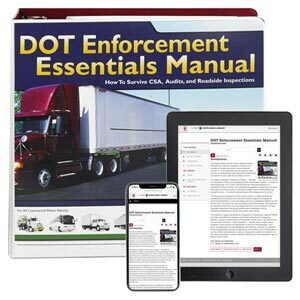 Register for a trial of FleetMentor® today and get 30 days of unlimited access to the online toolbox and advisor that will help you stay in compliance and off of the CSA intervention list. Note: Available as a 1-, 2- or 3-year subscription. Call 1-877-595-1197 for more information. The following is a sampling of interactive tools you will find within FleetMentor®. 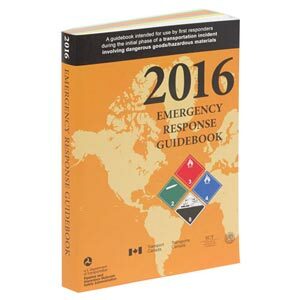 This feature provides comprehensive handbook templates for creating best-in-industry policies and procedures. Customize the suggested policies or build your own by selecting your own policies. 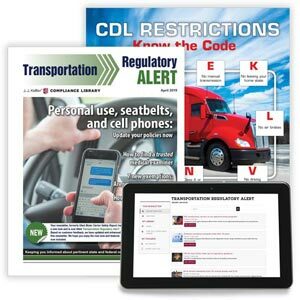 This feature guides you through the six areas of an FMCSA audit to identify critical and acute violations. Once the audit is complete, use the results to develop corrective action plans and improve your overall safety rating. This wizard provides a quick summary of the federal and jurisdictional permits you will need to operate and transport a specific shipment. 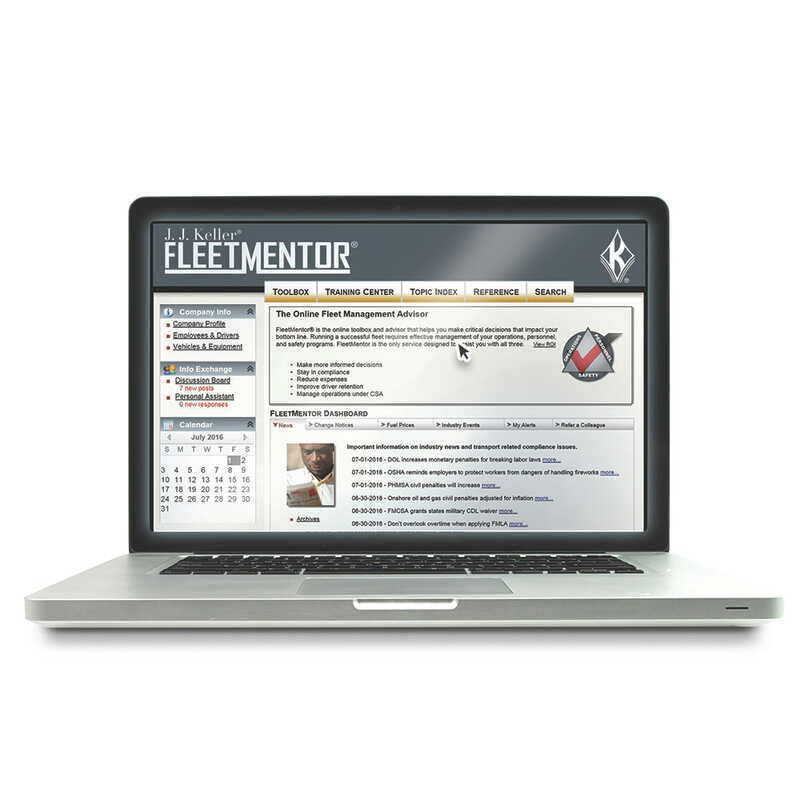 FleetMentor® training programs can be used "as is" or customized to meet your fleet operation's needs. Choose from courses for employees and the supervisor and management, or by category; operations - personnel - safety. Stay on top of annual inspections, plate renewals, service status, and lease dates using the alert functionality and reporting. This feature provides a comprehensive method for tracking and maintaining accident claim information. In addition to creating a claim diary, this tool allows you to track claim costs and set reminders for timely claim actions. Use this feature to track and comply with regulations governing cargo claim deadlines and acknowledgment requirements. Maintain a claims diary, print your correspondence letters, and set alerts for regulatory action deadlines. This feature is designed to help you accurately calculate your overall cost of operations. Use the results for planning, forecasting, determining freight rates, making purchasing decisions and establishing minimal operating benchmarks. Use this selection tool to help administer your random drug and alcohol testing program. The tool provides a reliable way to ensure each selection is random and fair, and helps ensure that your random testing program fulfills DOT testing requirements each calendar year. View a preview of FleetMentor®. Más de 4000 profesionales de la transportación confían en FleetMentor® día con día para controlar sus operaciones bajo la CSA. Una guía comprensiva para desarrollar controles de gestión y acciones correctivas. Regístrese para una prueba del sistema FleetMentor® hoy y obtenga 30 días de acceso ilimitado a las herramientas y consultor en línea que lo ayudarán a permanecer en cumplimiento y apartado de la lista de intervención de la CSA de 2010.